The British government has appointed a new ambassador to Tehran in the wake of an attack on Iran’s embassy in London last week. According to Press TV, the British Foreign and Commonwealth Office said in a press release on Wednesday Rob Macaire was appointed the UK ambassador to the Islamic Republic of Iran in succession to Nicholas Hopton. A statement by the UK government said that Macaire would take up his appointment in April 2018, adding that Hopton would be transferring to another diplomatic service appointment. “The UK’s continued engagement with Iran is vital to our goal of making the Middle East region a safer and more stable place,” he added. “I look forward to working with the government of Iran and with international partners to preserve the [2015 Iran] nuclear deal and deepen our bilateral relationship, through constructive engagement on human rights, trade, and seeking political solutions to the conflicts in Yemen, Syria and elsewhere,” Macaire stated. The appointment comes in the wake of an attack on the Iranian embassy in London last week. 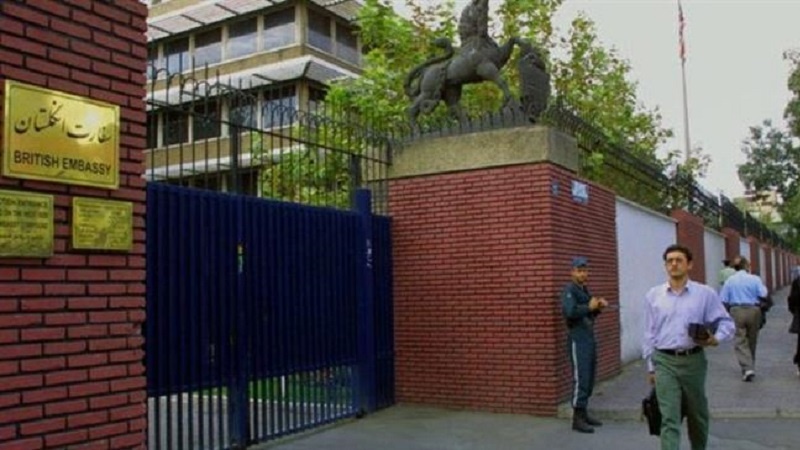 A number of attackers scaled the wall of Iran’s embassy building in London on Friday and took down the Iranian flag. According to IRNA, British police did nothing to protect the compound during the attack. Iran on Saturday summoned the British ambassador to Tehran over the attack to express its strong protest over the incident and call on the British government to fulfill its duties to protect diplomats and diplomatic missions and increase the security measures for the Islamic Republic’s missions. Iranian Ambassador to London Hamid Ba’eidinejad also said that he had been threatened with death by a member of the extremist religious group that carried out the attack on the Islamic Republic’s embassy in London. Iranian officials criticized the British government for failing to fulfill its duty to protect the Iranian embassy in the UK.